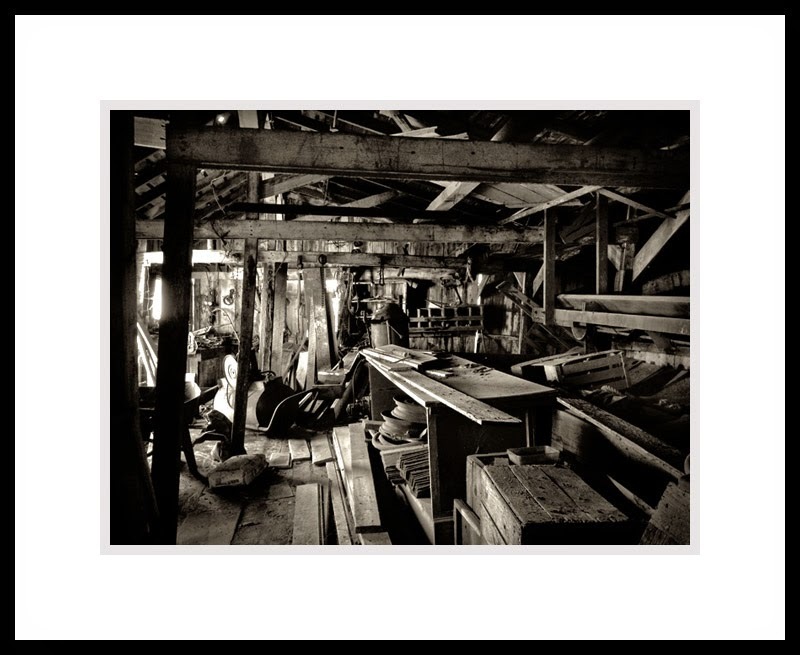 When one views traditional fine art photography, there is a specific style and subject matter that has changed very little since the origins of the medium. However with the introduction of mobile photography, the traditional genre of fine art photography, has been virtually abandoned do to the lack of education. Though mobile photography has and continues to contribute to the medium significantly, it also has failed traditional fine art photography, at the same time, traditional fine art photographers have also failed by not embracing the new mobile technology. It seems foolish that the ‘old school thinking’ traditionalists seem set on continuing to use either film or digital DSLR without exploring the flexibility that mobile devices offer, despite the lack of high end resolution and not being to shoot using RAW file format. As the years continue and transform into decades, a large gap reflecting traditional fine art style and subject matter that will have been lost, will only leave a blank in our future collective consciousness. It is not that there are at least a few mobile photographers who not only explore the new medium and contribute to its advancement as a new art form, but also continue to add to the tradition of ‘fine art’ photography by using their mobile devices. So what is ‘traditional fine art’ photography ? Over the decades the only real change has been how we interpret and process ‘traditional photography,’ while the subject matter has remained unchanged. At first glimpse there appears little difference to an untrained eye between fine art and mobile photography, but there are significant differences. 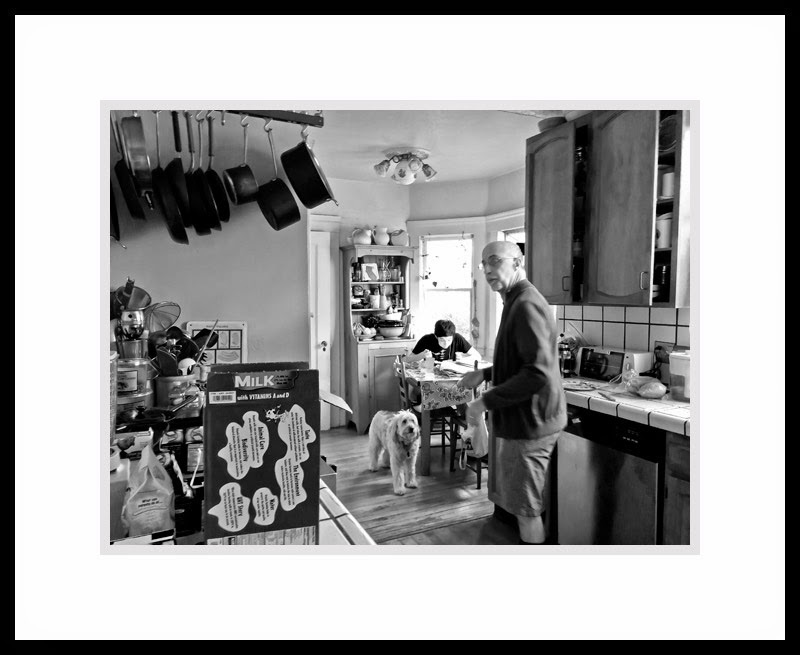 It may not appear so when looking at this picture of two people and a dog in their kitchen, captured on the spur of the moment with a mobile, as it appears as nothing more than a ‘snapshot’ and not a traditional fine art photo. 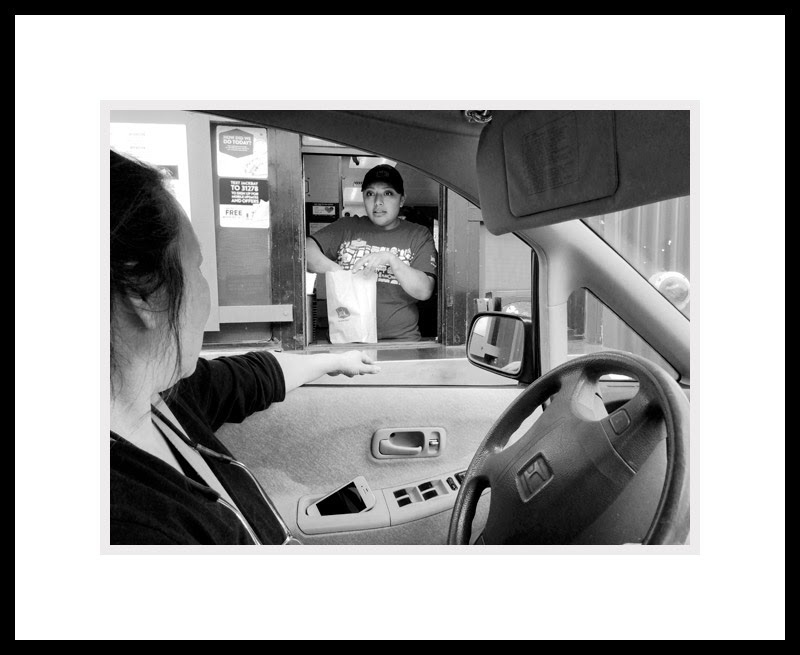 Yet even my friend stopping off at a fast food drive-in qualifies as a traditional fine art photograph. It lies not only in how the scene was rendered and then treated in post process, but what the scene represents and says about our lives today. There is also a visual language, a poetry about fine art photography that comes through the majority of the photographs, in how one treats the subject matter. The death of a sea gull treated artistically and with reverence becomes not just a graceful photo, it also becomes elegiac in an idyllic way. 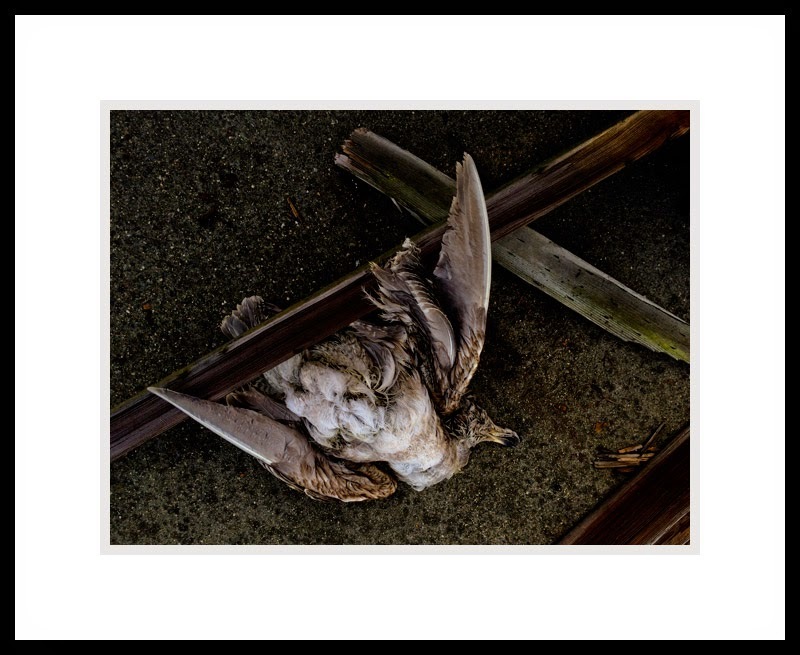 Though there is nothing romantic about death, yet the morning dew lingering upon on the feathers like translucent pears until the sun rises over the obstruction that covers the bird in shade and between the natural recline of the bird amidst the wooden pieces and the photographers composition, makes this a classic fine art photograph. 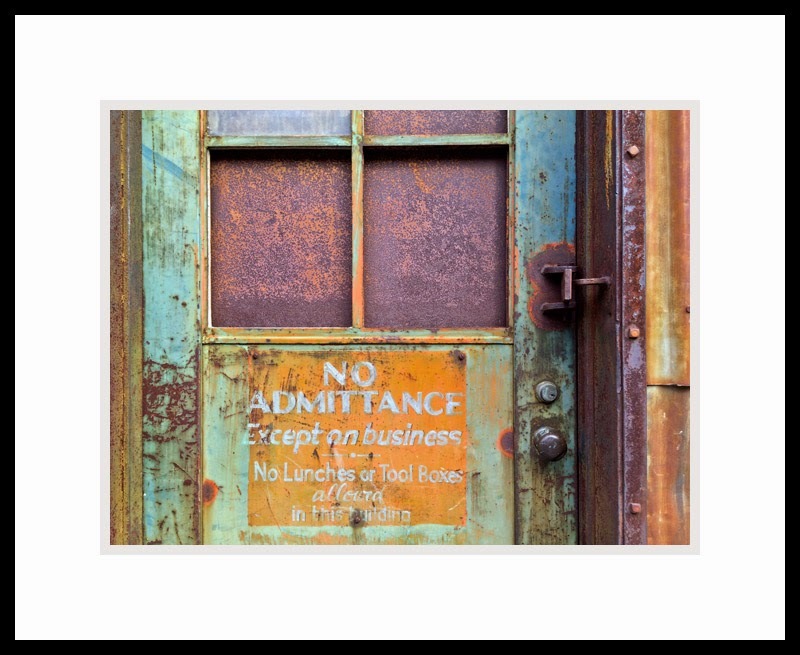 A favorite traditional fine art subject matter are structures, buildings against the vast lonely and cold emptiness, especially abandoned iconic structures that are slowly reclaimed by natures elements, balancing memory and the romance of the past with the current condition of the scene. 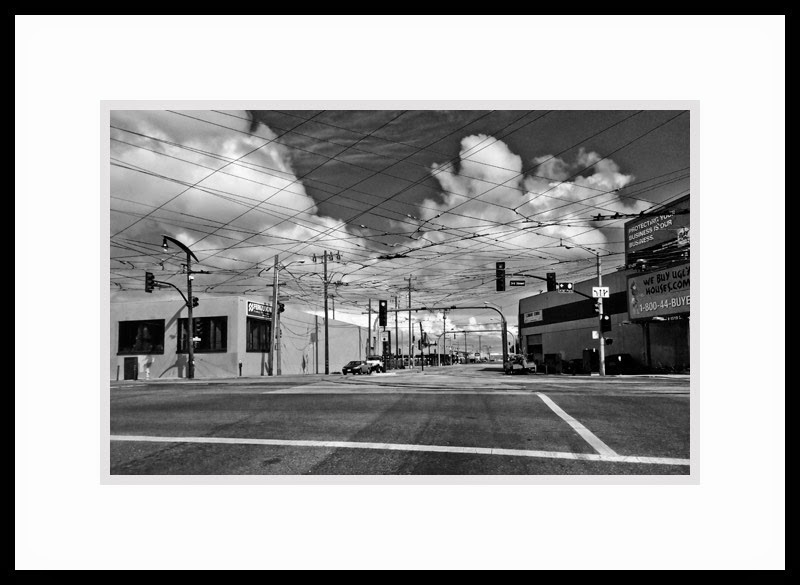 Urban or rural landscapes in traditional fine art images are mostly void of any human inhabitance, juxtaposed against other structures or empty spaces, while reminiscing what possible stories these places could tell. Traditional fine art photography has been primarily Black/White due to the esthetics of the medium, while color has successfully managed to get a good foothold, in part because of a print process known as Cibachrome in the mid 1970s, which gave color prints a little punch of vivid saturation. 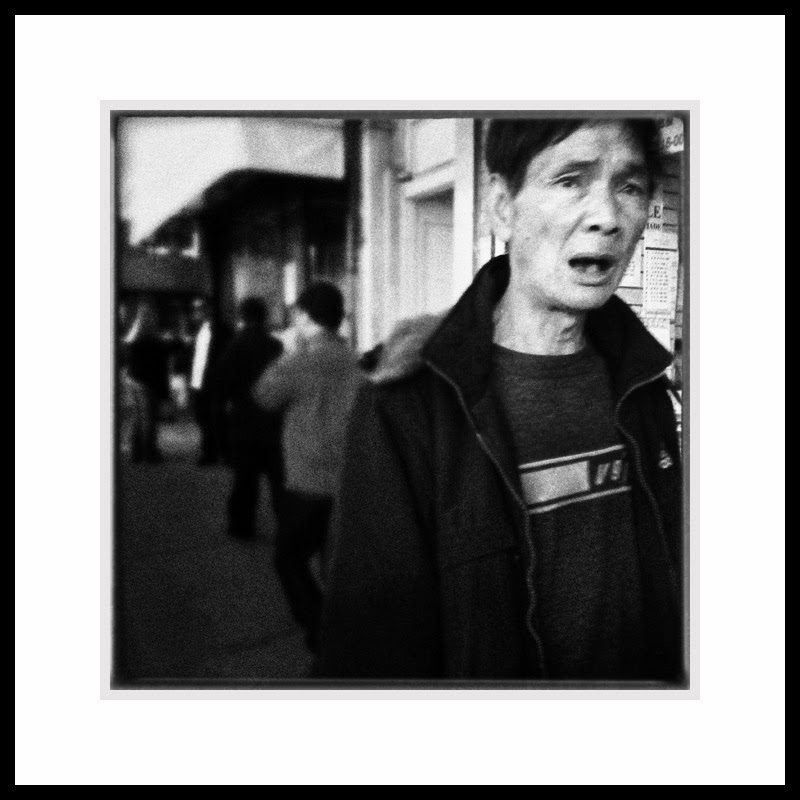 The relationship the viewer has with a color photograph and that with a Black/White one, are two extremes, as color provides an emotional response and a Black/White image causes the viewer to contemplate what is being viewed. 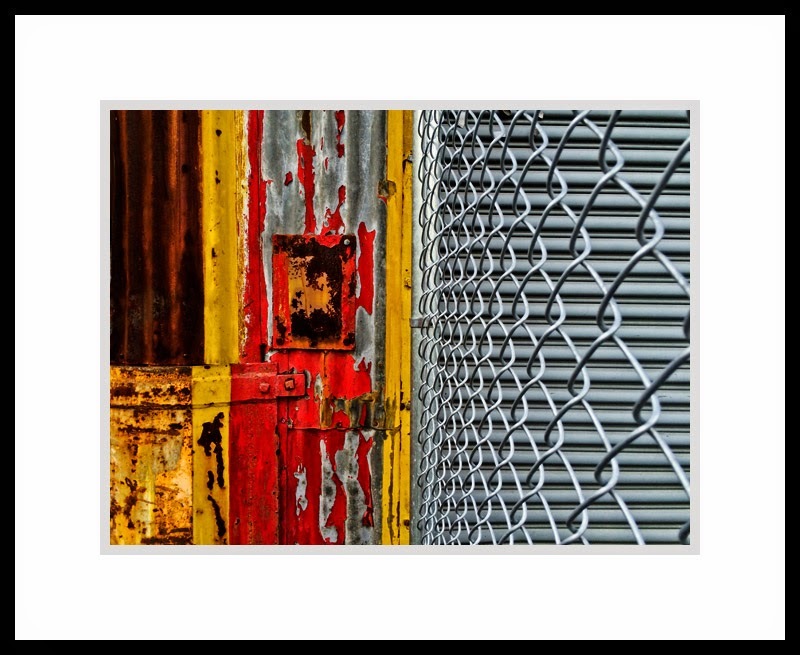 Another aspect of fine art color photography is one were natural or vivid colors have been reduced and softened to appear like pastels tones, ensuring a more emotional response that evokes a personal memory. 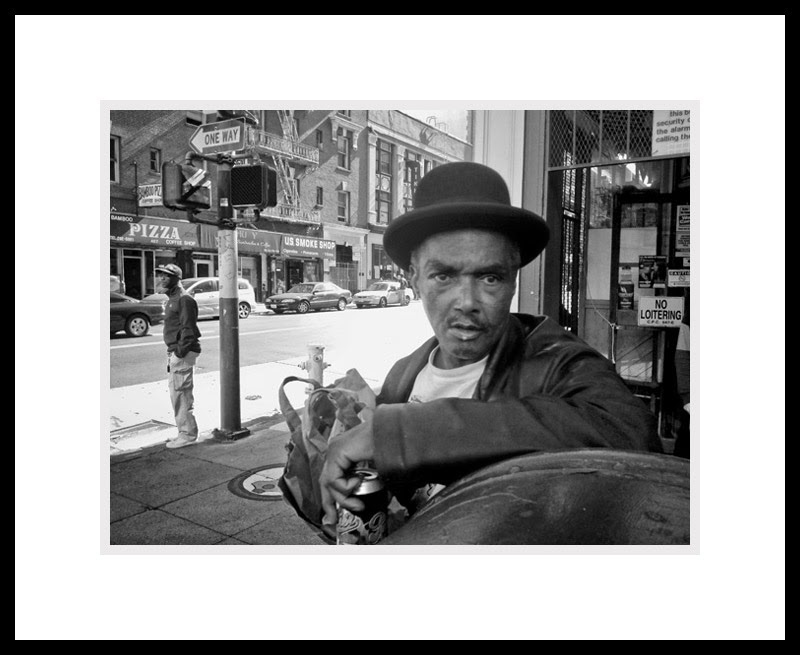 Street photography is a field all it’s own and not all street captured images are automatically considered traditional fine art, as photographs have certain elements ranging from snapshots to social documentary. 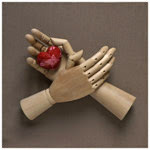 Similar to the first two photographs representing slices of our daily lives. Mobile photography has certainly shaken up traditional fine art photography, as well as photography in general. While I have nothing against the many divisions and variations of mobile photography as an artistic medium, I am simple concerned that by mobile users not embracing any aspect of traditional fine art photography or for fine art photographers not including a mobile device as part of their tools, traditional fine art photography cannot really advance as an art form.